Written by Colleen Sedgwick on April 9, 2015 . Posted in Multiply. As a pet sitter, you are usually burning the candle at both ends. Most likely, you’re still working IN your business, doing the pet sitting visits, midday dog walks, house sitting assignments as well as answering the phones, responding to emails, running collections, paying the bills and dealing with disputes. Not only does this give you any time at all to actually work on scaling your business, it is a recipe for complete and total burnout. Trust me, I know what I’m talking about. I’ve been there. In 2005 I had to make the decision to grow the business or jump ship for good because I just couldn’t take the lifestyle any longer. I chose growth, which was the best decision I have ever made, but I had to change the way I was doing things or I was going to go bonkers. So, to avoid “pet sitting burnout,” I have some suggestions for you. Our businesses can rule our lives… if we let it! I’m here to tell you… don’t let it! You need to set clear boundaries with your clients and staff. You must draw a line in the sand and have an end to your business day. Stop answering emails and phone calls at 10 o’clock at night. When you do this, you are setting an expectation with your clients and staff that you are available all hours and they will not think twice about trying to contact you whenever they feel like it. Worse yet, some people may actually become irritated if you don’t respond to them right away, because they are trained to believe that you are at their beck and call. Record a voicemail message that clearly states your office hours and explains when callers can expect a phone call back from you. Create an auto-responder for your email stating the same thing. This way, when someone emails you at 10pm, they know that they will not hear back from you until the following day. TIP: Set a reminder to turn-off the auto-responder the every morning. Nothing is more annoying or unprofessional than auto-responder that isn’t relevant. In your New Client Welcome Packet clearly state your office hours and when and how scheduling occurs. This will manage their expectations right from Jump Street. 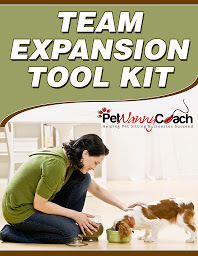 If you are serious about growing your business, but you are still performing a full schedule of pet sitting visits and dog walks, then you are most likely jamming your business development work into your evenings. This is going to cause serious burnout quickly. My suggestion for you is to bring someone on to do all your visits on Mondays (or any day you prefer) and then devote that day to nothing else but business development. I speak from experience on this one. I think I have a touch of OCD, so when I was running Pet Nanny-Pet Sitters of The Main Line, I would jump on any email the second I heard the ding because I always wanted my inbox to be empty. It wasn’t until I grasped the concept that my To-Do List would never be done that I had actual FREEDOM. Let yourself off the hook and stop trying to keep that inbox empty because it is a losing battle. I’ve been in business since 2001 and I still have to remind myself about this. I literally just said to my husband last night, “Billy, I need to take a break.” I have been going, going, going, non-stop for the past 6-months and I’m starting to feel it and I am also seeing it in my productivity. I just watched a great video created by Jeff Walker regarding the connection between rejuvenation and productivity. If you have the time, it’s worth the watch. Re-record your business voicemail to include your office hours and explanation of when callers can expect to hear back from you. Create an email auto-responder that will alert your peeps about your office hours and when they can expect to hear back from you. In your new client welcome material, add your office hours and scheduling process.